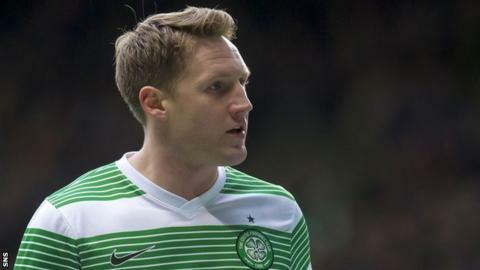 Celtic midfielder Kris Commons is set to be crowned the Scottish football writers' player of the year. The 30-year-old adds the award to his PFA Scotland player of the year trophy after a prolific season, having scored 32 goals for the champions. He has proved pivotal in helping to secure Neil Lennon's men a third league title in a row since signing for £375,000 from Derby County in 2011. Celtic have yet to agree a new deal with the ex-Scotland international. Last month Commons saw off team-mates Virgil van Dijk and Fraser Forster, along with Kilmarnock striker Kris Boyd, to be named player of the year by his peers. St Johnstone striker Stevie May was earlier this week named the PFA Scottish Football Writers' Association young player of the year.